It’s Thanksgiving week, which is also Rivalry Week. We’ll be light on commentary this week, because most of these games speak for themselves. Many of these rivalries are sullied this year with dominant teams facing off against their historic opponents in rebuilding years. However, for those teams with nothing else to play for, these match-ups will be their “championship” because it would bring a team – like Auburn or Texas A&M – no greater pleasure than to spoil the BCS title hopes of their nemeses. So, don’t be surprised to emotional play lead to some surprising upsets this weekend. Remember to check the TV coverage maps, and note that all rankings are the current BCS standings. Enjoy your leftovers and save room to indulge in your week 13 viewing guide. This was…unusually close. Despite the loss, the Aggies might have played their best game of the year – at least offensively. QB Jerrod Johnson looked fantastic, and will continue to be a threat to Texas in the next couple of years. Texas defensive coordinator Will Muschamp will be irate after the way the defense played Thursday night, but my guess is that emotion and momentum kept the Aggies in the game much longer than expected because the ‘Horns offense clicked most of the game. If you’re running behind on Eyes Of TX content, the in-depth game preview can be found here. 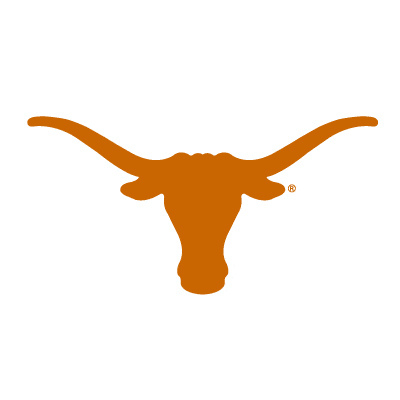 There is no asterisk as division champs this year, as Texas has plowed their way to the Big 12 Championship game against Nebraska on December 5th. Exciting! Not. But, football season’s almost over….let’s feast while we still can. One final test for the Bearcats. Rumor has it former starting QB Pike will make the start this week. Eyes Of TX says, “why mess with a good thing?” Hope that doesn’t backfire for Cincinnati, but an upset sure would make the BCS happy. Can ‘Bama overcome their biggest rival to give themselves a shot at #1 Florida, the SEC championship and the national championship? We’ll see how Auburn gets up for this game after a killer start, but a late season let-down. If head coach Gene Chizik pulls off the upset, sadly, he will be enshrined as the best coach ever at Auburn. Nebraska has clinched the Big 12’s North division and will face #3 Texas on December 5th for the Big 12 conference title. This will be the last opportunity to see what Bo Pelini’s squad has to offer, in particular his offense, and while most thought it will be Colorado’s last chance to help head coach Dan Hawkins keep is job, the university confirmed that he would be coaching in Boulder again next season. 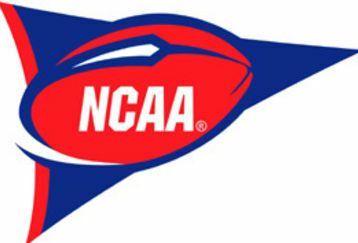 The NCAA might as well give CU the “death penalty” because they’ve definitely rolled over this year. Does anyone else think Pittsburgh head coach Dave Wannstedt has a funny mustache? Close out the night with this late game. Boise State could be shut out of the BCS this year despite being #6 and undefeated. It’s too bad their weak schedule didn’t allow us to see just how good they can be, and perhaps Oregon helped them look better than they actually are… With #5 Cincinnati and #4 TCU as mid-major schools ahead of them in the BCS, it will be a disappointment for the home of the blue turf. Both of these games are intriguing for the in-state bragging rights implications. Neither matchup is particularly compelling but in the context of Rivalry Week, they’re definitely worth watching. The ‘ol Ball Coach tries to make a stand in Columbia against a ranked opponent. Win or lose, they could keep Clemson RB C.J. Spiller from winning some post-season awards if they can hold him to a sub-par performance. If a tree falls in the forest, and no one is around, does it make a sound? In the shadows of the Appalachian mountains, its basketball season folks. If you can find this, see the same reasons as above. If anything, Texas fans can relish in the fact that when the pressure was on to deliver a big year for Ole Miss, former Longhorn back-up quarterback Jevan Snead fell flat in 2009. Another one that will be hard to find, unfortunately, because it’s always nice to watch ou struggle. With this year’s ‘Pokes team rolling to a potential BCS at-large bid, it’s hard to imagine them dropping this one, even though they’re away from home. Florida’s won the last 21 games of this series, if memory serves. For Seminoles head coach Bobby Bowden, the good thing is he’s old enough to forget each game. Florida wins big, and sets up the ultimate SEC Championship match-up of #1 v. #2 Alabama for the right to play in the national championship. Virginia is an absolute debacle this year. Expect the Hokies to roll the ‘Roos at home. This might actually be interesting, as South Florida started out the year strong, as did Miami. We’ll see what the ACC has to offer up the bowl committees besides a surprising Georgia Tech. Can Miami step up? A great in-state matchup between two of the best non-BCS conference teams. LSU has found out they weren’t quite as good as they thought, in part due to horrible coaching by Les Miles last week. Arkansas has been inconsistent, but could pull off the upset. Unfortunately, Death Valley isn’t an easy place to play, especially the week after an LSU loss. Who would have thought the best team in Georgia would be out of Atlanta? Georgia Tech’s triple-option has proven surprisingly successful this year. Go Yellowjackets! What could be head coach Charlie Weis’ last game at Notre Dame will be shown in most of the country. Meanwhile, Stanford will try to stamp their ticket with another win against a big-time program. Thanks again to LilPete for his 2009 season viewing guides.